We deliver our workshops in 5 or 6 different locations each week (the same place each time). Our Group sizes range from 15 to 30 young people. See below for details. We work with children, teenagers, young adults and some adults. About 110 young people have been trained in regular workshops delivered weekly. The workshops and performances have also created substantial interest in social circus activities amongst civil society groups in Myanmar. Expand circus skills workshops to other participants and areas. Provide tutor training for locally-based jugglers and circus artists so they are able to run regular workshops throughout the year. Provide teaching materials, specialist trainers, equipment, monitoring and evaluation to support learning goals. Develop the performance capacity of participants and tutors. 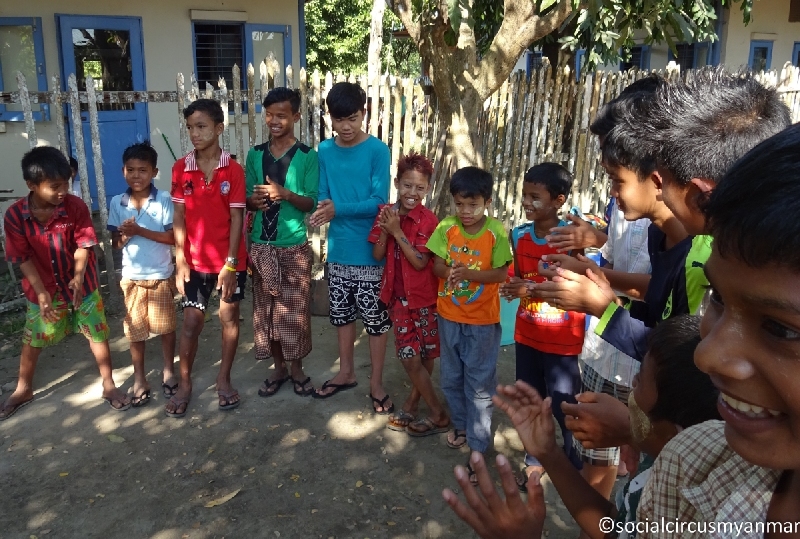 Develop a plan with Myanmar partners to establish a social circus network and training centre. Sharing is useful to us, what about you? Copyright © 2019 Social Circus Myanmar. Powered by WordPress. Theme: Esteem by ThemeGrill.